When we set up Behaviour Change in 2009, we didn’t quite grasp the extent to which the phrase we’d chosen as our name would capture the zeitgeist in the years to come. OK, so we thought we’d been quite clever in stealing a march on the competition (David Cameron’s Behavioural Insights Team wasn’t set up until the following year) but we’d certainly underestimated how many sectors would start clamouring for expertise in nudging people towards new habits. From health workers to urban planners, heritage charities to FMCG businesses, a behaviour change strategy has become a must-have for any forward thinking organisation. And while the bus industry might not always be seen as a hotbed of innovation, when it comes to changing habits, getting motorists to switch to the bus is one of the trickiest behavioural challenges there is. When we started working on this problem with Greener Journeys, the first thing that struck us was the unusually collaborative nature of the project. Funded and actively supported by the big 4 bus companies and bringing in PTEs, local authorities and others, Greener Journeys provided a shared space where everyday competitive considerations could be put to one side and the industry could work together on the challenging brief of driving modal shift. Another unique dimension to the project was its deliberately experimental nature. For once, we had permission to fail and in so doing learn far more than if we were hampered by the fear of doing so. And so we were able to go into 2 years of work, across five cities, backed by this unprecedented collaboration with the single-minded mission of uncovering new ways to encourage drivers to switch to the bus. We’ve experimented with new messengers: a radio station targeting the gay community, professional street teams more used to ‘chugging’ than extolling the virtues of the bus, charities working on a shoestring to help school pupils with learning difficulties or Asian women fleeing domestic abuse gain confidence and independence. We’ve developed new mechanisms to get people to try the bus and evaluate what happened as a result. We’ve even entered the world of social media, testing a new app to influence young people to delay their decision to start driving. And while delivering that elusive modal shift hasn’t got any easier, we’ve steadily built our knowledge of what works, backed up by detailed insight into how interventions can most effectively be executed and robust evidence of the results. In the past, the bus industry has had a relatively limited set of tried and tested tools from within the realms of conventional marketing and travel planning to deliver modal shift. Our aim has been to add to these and it’s encouraging to see our ideas beginning to enter the mainstream in LSTF and operator-led projects. With our new toolkit, launched last week, we now want to make this accessible to everyone in the industry and, we hope, trigger a round of local innovation that builds on the work we have done. And if there’s one other new habit we’d like to see, it would be that everyone who puts our work to use keeps something of our experimental spirit and drops us a line to let us know about their successes and, if need be, their failures too. 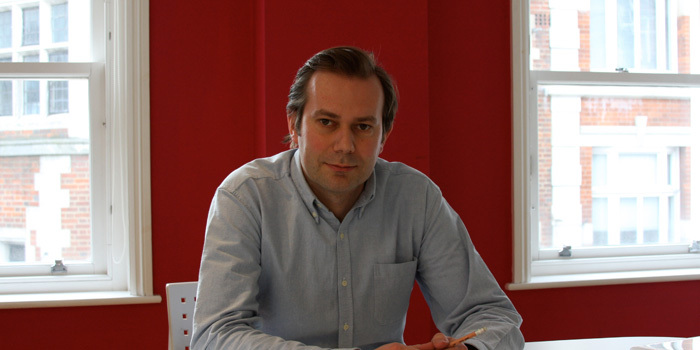 David Hall is Executive Director of Behaviour Change, the social enterprise that has developed and managed Greener Journeys consumer campaigns since 2009.